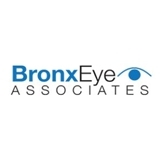 Bronx Eye Associates (Brooklyn) - Book Appointment Online! Welcome to Bronx Eye Associates: a state of the art Eyecare office. Our highest priority is personalized eye care to enhance and preserve your vision. We understand that the health of your eyes is as important to you as your general health. We realize that the quality of your vision is paramount to you. At Bronx Eye Associates we utilize the most advanced eyecare technology to detect and monitor different eye conditions. Our highly trained doctors of optometry will professionally manage all your eye/vision care needs and advise you on all aspects of eyecare: from eyeglasses to surgery. very nice place. Eye care is getting too expensive though, even with insurance. The staff is great. Well spoken and have Really Good customers service. Dr.Serra very informative, professional and Friendly and everyone one in her office and associates make you feel welcome. I will never look for another EYE CARE PROVIDER. he' s an excellent doctor i couldn't ask for a better eye doctor. He was a great Dr.